Red and blue ice pop cocktails, a tattoo of the Chivas logo and symbolising Chinese prosperity in a glass. It’s Liverpool, the penultimate stop on the Chivas Masters UK journey. Who (competitors): Joe Ballinger, Berry & Rye, Liverpool; Luke Downing, Vice & Virtue, Leeds; Ben Halpin; Alma De Cuba, Liverpool; Dale Hughes, Suburbs, Chester; Hank Hughes-Lundy, House Bar, Manchester; Blue Jones, Red Door, Liverpool; Manachain Monaghan, Monk Cocktail Bar, Buxton and Paul Murphy, Jenny’s Bar, Liverpool. 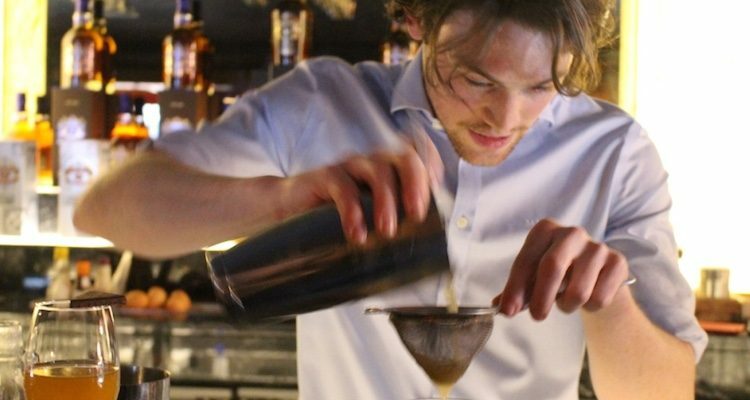 Who (judges): Josh Reynolds, Chivas Masters Global Winner 2015, Phil Huckle, Chivas Brand Ambassador and The Cocktail Lovers. The fifth heat of the Chivas Masters UK found us in Liverpool, where eight bartenders were standing by to deliver their three Chivas drinks for The New York Way, The Local Way and The Shanghai Way. The bar was set high by Dale Hughes from Suburbs who got things going. Particularly appealing was Three Ways With Jasmine, his creation for The Shanghai Way, which evoked an elegant tea ceremony. Warming jasmine tea with Chivas 12 gently over flames for a combination which was subtle yet distinctive. Next up was Ben Halpin from Alma De Cuba who literally displayed his love for Chivas by showing off his new tattoo – the brand logo. We’re not sure if it was genuine but it was certainly eye-catching. As for his drinks the stand-out was a tribute to his fellow Liverpool bartenders for The Local Way. Named Steel Street Stout it combined a homemade IPA syrup with Chivas for a long and refreshing drink. The Local Way produced another great drink from Hank Hughes-Lundy from House Bar. This time the local ingredient was a cider from Moss Side in Manchester which lengthened the Chivas nicely for The Moss Cider. As well as the drinks there was some good Chivas knowledge on show too, particularly from Blue Jones from Red Door. He also had a good understanding of Chinese drinking etiquette for The Shanghai Way, explaining the importance of a host sharing a bottle of spirit with a group. He evoked this by serving his creation, Tale Of Two Halves, from a miniature Chivas bottle. 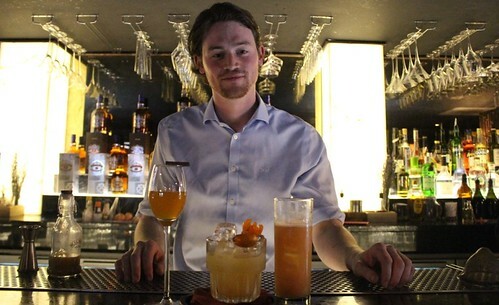 Luke Downing from Vice & Virtue delivered a nice twist on the classic New York Sour for The New York Way. Replacing the usual wine float with a delicate but flavoursome sherry foam which combined beautifully with the Chivas for his drink Chivas On Broadway. Amongst the outstanding visuals of the day was Postcode Pops for The Local Way delivered by Joe Ballinger from Berry & Rye. Based on the frozen ice pops we loved as kids he created an altogether more grown-up experience, blending mint with Chivas, then freezing the combination in a choice of red or blue ice to represent Liverpool’s opposing football teams. Also standing out, but for a very different reason, was Paul Murphy from Jenny’s Bar. If ever he decides on a change of career then stand-up comedy is clearly his calling, but he made good drinks too especially for The New York Way. Eggs infused with toffee gave a tasty depth to his Highland Flip. For The Local Way he took inspiration from his native Buxton, famous for its spring water. Pointing out that the area is generally a pretty cold place he wanted to create a drink which was refreshing but wasn’t iced. Hence a room temperature combination of Chivas 12, Galliano, Yellow Chartreuse and cassis, the dilution coming from a little Buxton water, for the Spring Water Scaffa. The judges felt this was a real gamble but it paid off to handsome effect for a rounded and satisfying cocktail. For his final drink, representing The Shaghai Way, he explained that kumquats are a Chinese symbol of prosperity and unity, particularly in Shaghai. Discovering the fruit worked extremely well with the Chivas 12 was the inspiration for his Shanghai Straight UP (Unity and Prosperity) which also included a homemade Chinese 5 spice and brown rice syrup for an exceptionally complex and delicious drink. “It was a very entertaining day, which is what I expected being up in Liverpool. The standard was high and there were some delightful, well thought out drinks. However, although drinks can be well presented, do they have the story to back them up and can the bartender take you on a journey? Manachain did, his explanation and reasoning as to why he chose certain ingredients was really impressive and his bold move on The Local Way to serve a drink at room temperature was stunning. His Shanghai story was eloquent and well executed with some soft, well balanced flavours. Good luck in the final!” Josh Reynolds, Chivas Masters Global Winner 2015. “I always enjoy coming to this region because the standard of bartending is so high and they are so passionate which really came through today. The winner gave an incredible presentation. one of the best of all the heats, really creative on all of his drinks, very passionate, took one or two risks, and I think he’s a dark horse for the final.” Phil Huckle, Chivas Brand Ambassador. “We saw an exceptional presentation from Manachain. 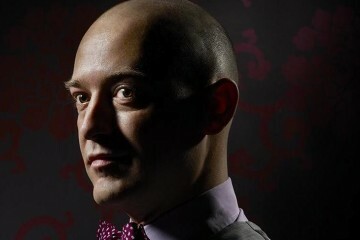 He knew exactly how to weave together stories and ingredients to produce relevant, surprising and downright delicious drinks.” The Cocktail Lovers. “Chivas is a great product to work with so I really enjoyed the development process. 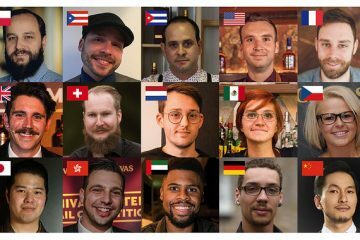 I think what this competition is all about is trying to improve yourself as a bartender, improve your knowledge and find new sources of inspiration. I can’t wait for the final!” Manachain Monaghan, Chivas Masters Liverpool heat winner. The Chivas Master heats run throughout March and April, leading up to the final in May. Follow the journey on thecocktaillovers.com, via Twitter, Instagram and on Facebook. Combine all ingredients except the lager, reverse shake and strain in to a tall glass with a little cubed ice. Top with the lager, mix well and garnish with the bitters. Swirl all ingredients together, strain in to a 6oz stemmed sherry glass. Press the coriander root and kumquat zest with the Chivas, add other ingredients. Throw and serve with the kumquat ‘crown’ as garnish.